"You Must Accept My Plan"
On June 4, 2009 Obama gave a speech in Cairo, Egypt laying out his Middle Eastern Policy. In that now infamous speech, Obama wrongly stated Morocco was the first nation to recognize the United States in 1796, when the truth is that France was our first ally and first to recognize the United States 18 years earlier in 1778. Obama said, "...At the same time, Israelis must acknowledge that just as Israel's right to exist cannot be denied, neither can Palestine's. The United States does not accept the legitimacy of continued Israeli settlements. This construction violates previous agreements and undermines efforts to achieve peace. It is time for these settlements to stop. Israel must also live up to its obligations to ensure that Palestinians can live, and work, and develop their society. And just as it devastates Palestinian families, the continuing humanitarian crisis in Gaza does not serve Israel's security; neither does the continuing lack of opportunity in the West Bank. Progress in the daily lives of the Palestinian people must be part of a road to peace, and Israel must take concrete steps to enable such progress." Since Obama's community organizing speech in Cairo, the Middle East has exploded with one after another revolution. This summer the Egyptian government was overthrown and President Mubarek, a long time ally of the United States is on trial. Egypt has had an election, and it would appear that the Muslim Brotherhood, no friend to Israel or the United States has won recent elections and is in the process of writing a new Constitution based on Sharia Law. Egypt has recently expelled the Israeli Ambassador and the Jewish Embassy in Cairo was attacked and set on fire. 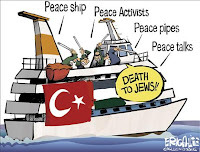 Last year, in May of 2010 Israel seized a flotilla headed to Gaza, "Israeli naval personnel boarded a flotilla of six vessels attempting to violate the maritime blockage on Gaza. Militants on board attacked them with live fire and light weaponry including guns, knives and clubs. The attack on the Israeli soldiers was premeditated." The government of Bahrain was also under pressure earlier the Saudi Arabia stepped in to squelch the uprising this summer. Jordan, the only other nation besides Egypt to sign a peace treaty with Israel has also had civil unrest. And earlier this month it was reported "...Jordan's King Abdullah II, one of Israel's few remaining close allies in the Muslim world, said in remarks obtained Monday that the uprisings sweeping Arab nations have put the Jewish state in a difficult position. He also hotly rejected the notion that his country should take in Palestinians as a substitute for the creation of a state for them. Abdullah told a closed meeting of Jordanian intellectuals and academics that Jordan and the Palestinians were now in a stronger position than Israel, whose current government fears growing isolation as a result of the Middle East's transformative changes in the Arab Spring. In Yemen the President of Yemen, Saleh was attacked by Al Queada and received life threatening injuries. the country remains in turmoil and a state of civil war. Just this week, Turkey and Egypt formed an alliance "As relations between Israel and two of its security and diplomatic bulwarks in the region — Egypt and Turkey — continue to deteriorate, the Obama administration is watching warily. The unraveling of relations not only threatens Mideast stability and U.S. goals for the region, but it is coming as the Palestinians prepare to seek statehood recognition at the United Nations — a move that is likely to further complicate peace efforts, leave Israel even more isolated and push the Obama administration into the position of appearing to side with Israel over other allies and partners." In Syria it would appear that the Assad administration has squelched the Arab Spring movement and has killed many demonstrators. ..."Syria is a hotbed of protest and the Syrian government persist in shooting and killing it's citizens who are protesting for more freedom..."
﻿"A day before the arrival in Washington of Prime Minister Benjamin Netanyahu of Israel, Mr. Obama declared that the prevailing borders before the 1967 Arab-Israeli war — adjusted to some degree to account for Israeli settlements in the West Bank — should be the basis of a deal. 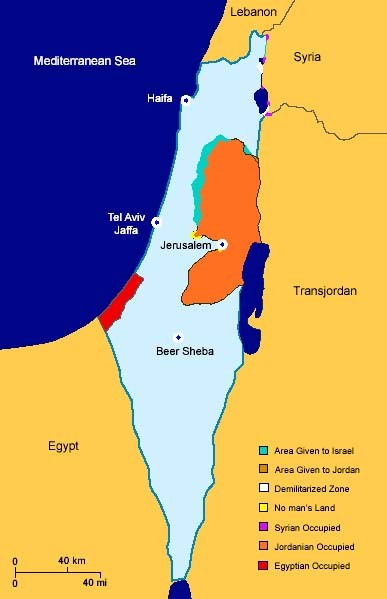 While the 1967 borders have long been viewed as the foundation for a peace agreement, Mr. Obama’s formula of land swaps to compensate for disputed territory created a new benchmark for a diplomatic solution." In 1964, the Arab League founded the Palestinian Liberation Organization (PLO) whose stated goal was to destroy Israel, three years before the West Bank and Gaza Strip came under Israeli control. For nearly 80 years the Democrats have owned the Congressional District of NY9. NY9 has the most highly concentrated Jewish Demographic of all 435 Congressional Districts. In a stunning defeat last Tuesday, September 13, 2011 a 70 year old Catholic Republican Bob Turner won what had been not only Anthony Weiner's seat, but also the former Congressional Seat of Chuck Schumer. In a very candid piece, former Mayor Ed Koch, could not have been more clear why he, a Democrat supported Turner and about the implications of losing this district, he stated, ..."I want to explain why I did what I did, so there's no misunderstanding of my intentions, or of my future plans. I hope President Obama gets the message that's been sent. If he does -- and if he announces, for example, that an attack by Turkey (which is heading toward war with Israel) or an attack by Egypt (which allowed the mob to occupy the Israeli embassy and threaten Israeli diplomats) would be seen as an attack upon the United States -- I'd be happy to support him and even campaign in Florida on his behalf in 2012. But if he doesn't read the tea leaves and change his position, you can be certain I will continue to bang my drum. I will campaign against him not only in New York, but in other parts of the country next year. I'll be loud and clear about what I believe. There are many Floridians who are concerned about the Obama administration's treatment of Israel, and Florida will be crucial to the President's reelection..."
From the beginning of his Administration, Obama has pushed for a Palestinian State, ..."In February of 2011, the United States vetoed a U.N. resolution on Israeli settlements that Susan Rice had started negotiations on with the Arabs. The Palestinians were furious and rightly so. After all, they had just spent weeks with Rice going back and forth on acceptable language to make Israeli settlement activity a violation of international law. While Obama has sent the same lower-level diplomats multiple times to the region to encourage direct negotiations, he hasn’t sent Secretary of State Hillary Clinton. It’s no wonder the two sides haven’t spoken formally since Sept. 2010." Rice’s rejection of the longstanding U.S. position of only encouraging direct negotiations led the Arabs to believe they were on a different path. Previous U.S. administrations had bluntly threatened vetos on resolutions that made unilateral declarations, but Obama’s team was clearly open to the idea. Arab diplomats also point to Obama’s 2010 statement that he wanted to see Palestine a member of the United Nations by Sept. 2011 as proof that he wants them to make bold moves. It is clear that once again the Obama Administration has shown it's ineptness and has been caught with their diplomatic pants blowing in the wind. The LA Times has made this assessment, "With efforts stymied to head off a U.N. resolution on Palestinian statehood, some Obama administration officials hope to make the most of a silver lining — the chance to emphasize the president's solidarity with Israel by casting a high-profile veto in the Security Council. For months, U.S. and Israeli diplomats worked to forestall a plan by the Palestinians to present their resolution to the Security Council. Now, however, with Obama facing restiveness among some Jewish supporters, the prospect of a veto comes at a politically useful moment..."
At the Stand for Israel site, states this viewpoint, ..."The General Assembly is made up of 192 countries, all of which are U.N. members. A majority are Arab and Third World nations that are anti-Israel and have historically passed a disproportionate amount of resolutions condemning Israel. This practice can be traced back to 1974, when the UNGA passed the infamous “Zionism is Racism” resolution. Since a General Assembly vote has no legal standing, and because the Obama administration has already stated that it will veto Palestinian statehood if it reaches the Security Council, what will the Palestinian Authority gain from pursuing this? I asked this question to my fellow Israelis and was intrigued by their response. Many people I spoke with think that the P.A.’s real motive is to drive a wedge between Israel and the U.S., and to further isolate Israel internationally. The P.A. believes that if Israel loses the support of the U.S., it will no longer have the ability to defend itself, and it will only be a matter of time before Israel is weakened to a point of submission." In this piece from Prince Turki al-Faisal, a former director of Saudi Arabia’s intelligence services and a former Saudi ambassador to the United States, it is clear that The Saudi's will be unhappy should the United States block the vote for nationhood of Palestine as a voting member of the UN Security council, ..."The United States must support the Palestinian bid for statehood at the United Nations this month or risk losing the little credibility it has in the Arab world. If it does not, American influence will decline further, Israeli security will be undermined and Iran will be empowered, increasing the chances of another war in the region. Saudi leaders would be forced by domestic and regional pressures to adopt a far more independent and assertive foreign policy. Like our recent military support for Bahrain’s monarchy, which America opposed, Saudi Arabia would pursue other policies at odds with those of the United States, including opposing the government of Prime Minister Nuri al-Maliki in Iraq and refusing to open an embassy there despite American pressure to do so. The Saudi government might part ways with Washington in Afghanistan and Yemen as well..."
What a pickle and a predicament caused by Obama and his Foreign Policy Team. He has completely undermined the Camp David Accords. We are dependent on the Saudis for a fair portion of the oil we import, and Obama has created a true nightmare for himself and the United States by distancing himself from our most loyal ally in the Middle East, Israel. This Friday, the Palestinian Authority will go to the United Nations and make a bid for statehood, "...The historic friendship between the United States and Israel stretches from the founding of the Jewish state in 1948 to the present day. Our nations have developed vital economic and security relationships in an alliance based on shared democratic principles, deep cultural ties and common strategic interests. Historian T.R. Fehrenbach once observed that my home state of Texas and Israel share the experience of "civilized men and women thrown into new and harsh conditions, beset by enemies." Surrounded by unfriendly neighbors and terror organizations that aim to destroy it, life has never been easy for Israel. Today, the challenges are mounting. 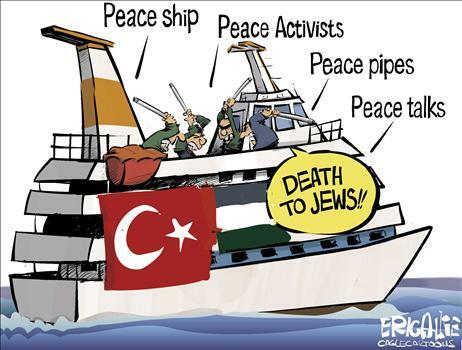 The Jewish state faces growing hostility from Turkey. Its three decade-old peace with Egypt hangs by a thread. 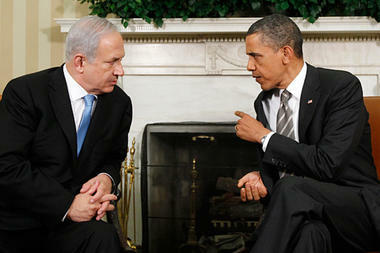 Iran pursues nuclear weapons its leaders vow to use to annihilate Israel. Terrorist attacks on Israeli civilians from Hezbollah and Hamas continue. And now, the Palestinian leadership is intent on trashing the possibility of a negotiated settlement of the conflict with Israel in favor of unilateral recognition of a Palestinian state by the United Nations..."
And from this article found at Fox News, ..."The irony is that only 12 months ago, President Barack Obama said he wanted the U.N. to be welcoming Palestine as its newest member this year. But talks broke down long ago, and the U.S. is in the unenviable position of leading the opposition to something it actually supports, fearful a Palestinian victory might cause a debilitating rift with Israel and set the talks back further..."
From National Review Online, ..."There is no such thing as a Palestinian state, and the United Nations can’t conjure one into existence. That apparently won’t stop the Palestinians from seeking recognition as a state in the Security Council this week. We should veto the Palestinian effort without hesitation. On top of its legal nullity, the push for recognition at the U.N. trashes the spirit of the Oslo Accords, which commit both the Israelis and the Palestinians to addressing their differences through negotiations. Thwarted at the Security Council, the Palestinians will likely go to the rabble in the General Assembly, where we don’t have a veto and they will presumably succeed in putting a fig leaf on a fraud..."
The stunning victory in NY9, by Bob Turner, R, who ran on a platform castigating President Obama over his Middle East policies, changed Obama's plans. President Obama is struggling in the polls, and he cannot afford to lose the financial support or the votes from the Jewish demographic, which is falling nationwide. This yet another glimpse into the failed polices of President Obama and the damage he has created for the United States. How can any of our allies rely on the United States in lieu of Obama's policies towards Israel and his not so veiled incivility to Prime Minister Netanyahu. At this time nearly 3 years into his term, Obama has yet to visit Israel. No wonder he is panicked about Jewish support and the voters in NY9, Florida and Pennsylvania. He ought to be. Any one with a half a brain could figure out the significance of losing a seat your party had held for 79 years. I stand with Israel. I am offended by the treatment our most loyal ally has received from the Obama Administration. I suggest the following videos regarding the partition of Israel in 1948, and the violence that Israel has faced from Hamas and Hezbollah, two wings of the Muslim Brotherhood, made by The Terrorism Awareness Project﻿ so that you can judge for yourself just how wrong headed President Obama's determination Israel should return to her pre-1967 borders. The first is titled "What Really Happened in the Middle East" And the second is titled "Jimmy Carter's War" . But will Obama Veto A Palestinian State? UN Sec Rice is a useless idiot who is usually MIA and has no political pull and Obama's security adviser and "expert" on Israel, Samantha Power, has advocated US military intervention into Israel to force a peace. So? Will Obama Veto A Palestinian State? 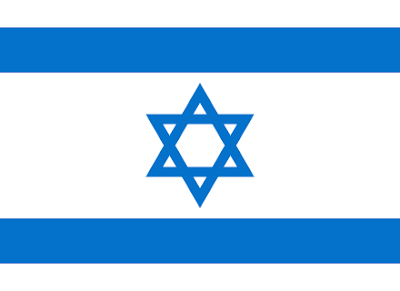 Israel is the legitimate state established in 1948 by the U.N. resolution. Today Israel is the only true democracy in the Middle East. Concept of two state solution based on the Oslo agreement will not work. Palestine state will become a hot bed of terror, and terrorists like Hamas will not rest until Israel is destroyed. A bilateral agreement is the way to go for Israel with Jerusalem as its capital. I stand with Israel. Not only has Obama brought the unrest of the Middle East to a fevered pitch with the abdication of a pro-Israel policy, he's ginned up every anti-Israeli concern to think they do anything they want without any reprisal. I'm not worried about Israel - as God will protect her. But I am worried about the judgement on our nation should Obama on our behalf FORCE or allow the theft of lands He has promised to His chosen. Got twitmo... I can be so caring of a particular party.